OLD PARKED CARS. 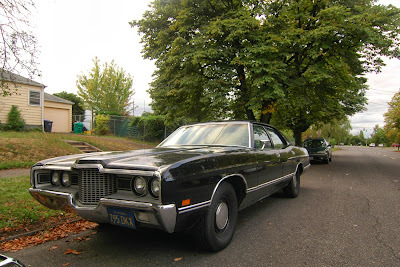 : 1971 Ford Galaxie 500. Whats that green wagon in front? 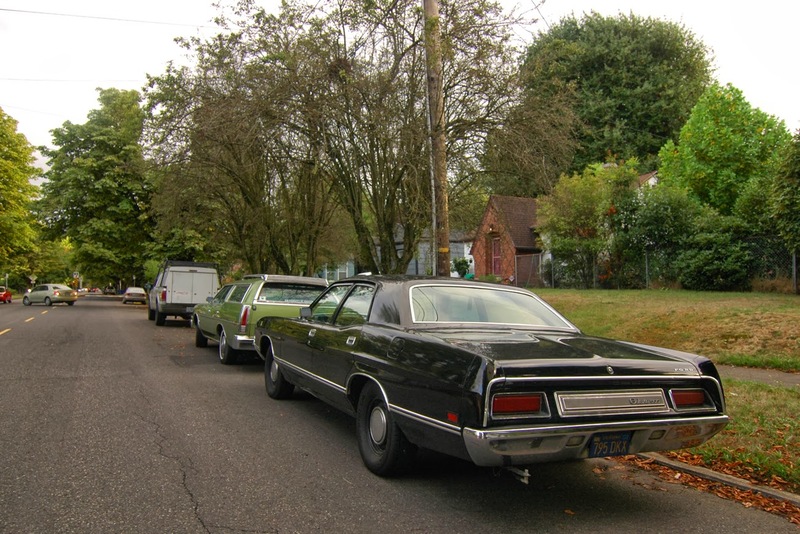 If your post was about the green wagon someone would ask about the black sedan behind it. You can't win. I assumed it was this old Ford, which I now see all over town on a regular basis. So happy to be wrong. Two great finds. what a good looking car. I would love to have this as my daily driver. ex detective car perhaps.looking awesome indeed.nice job finding it. Boy, if you came home in 1971 and THAT was sitting in front of your house it was either the Feds, or the Police detectives wanting to have a talk with you. That old Galaxie looks OMINOUS. I've said before that I don't like Fords, but I'm lusting pretty hard after this one. My dad is fond of pointing out that many Fords from the 60s-70s have a lean, muscular body juxtaposed against a prim, dainty roof. That applies to this car, in the best way possible. 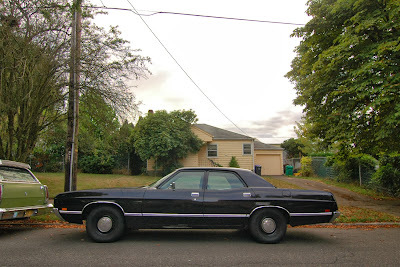 This Galaxie just screams Harry Callahan. Badass, would totally daily drive. after those last four comments, i had to come back and re-appreciate this thing. awesome. 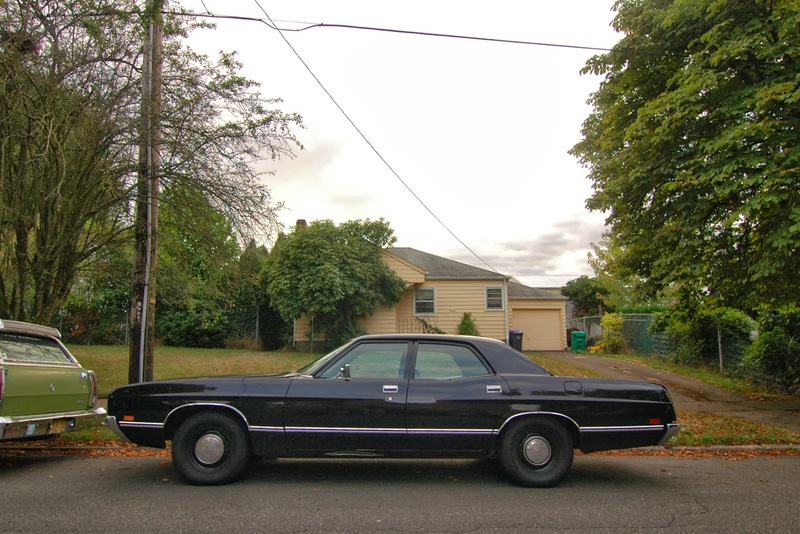 "...This Galaxie just screams Harry Callahan..."
His was a 4-dr hardtop police interceptor. Badass, in the most crew-cut square-jawed 70's throwback way possible. The dog dish caps and the black paint job create the perfect tension with the curves and hollows of the body. An all-pro linebacker in a sober preacher's black suit. Tommy Lee Jones first MiB car when he was a rookie. Wondering what gets attached (or used to be attached) to that bracket on the rear bumper?